Sitting astride the continents of Europe and Asia, Istanbul really is where East meets West, resulting in an enchanting and uniquely diverse city. From the quaint cobbled streets and domed skyline of the old quarter to the vibrant modern Beyoglu district, this is a city with something for everyone. 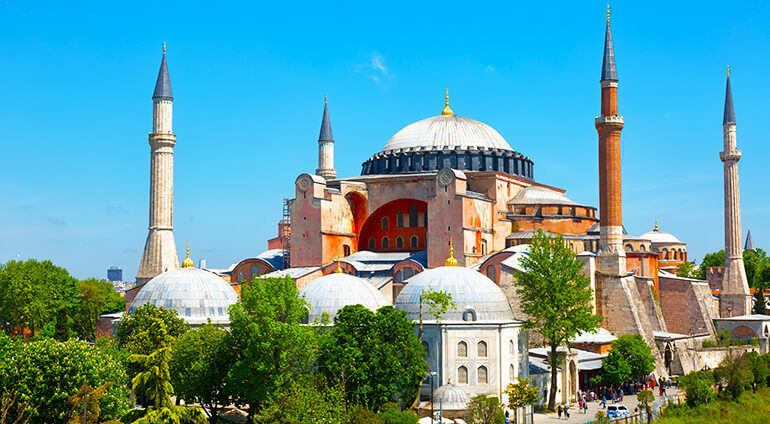 Originally founded by the Greeks in the seventh century BC, this city, formerly known as Constantinople, was capital of both the Byzantine Christian world and the Ottoman Empire and there are still plenty of relics to discover. Yet this booming city is also experiencing a 21st century golden age with a growing population of over 14 million people.